It’s finally here. South Sound gardeners wait all year for this. Now is when most of our gardens really shine. Rain is plentiful, sunshine and warmer weather arrive and nurseries are full. April/May is an explosion of much appreciated color and the prelude to months of plant, sow, weed and harvest. A collective sigh. Perennials have replaced annuals in popularity for the past several years primarily because they “come back”. As perennial popularity has grown, “annual-love” has faded. Geraniums and impatiens are the exceptions. Now we find out the go-to shade tolerant Impatiens walleriana (the ones most commonly planted) might be hard to find this year because of a nasty disease (downy mildew) sweeping the country. Hold on! We have a new annual to take its place… “SunPatiens”. They look like the regular impatiens but have much larger flowers. 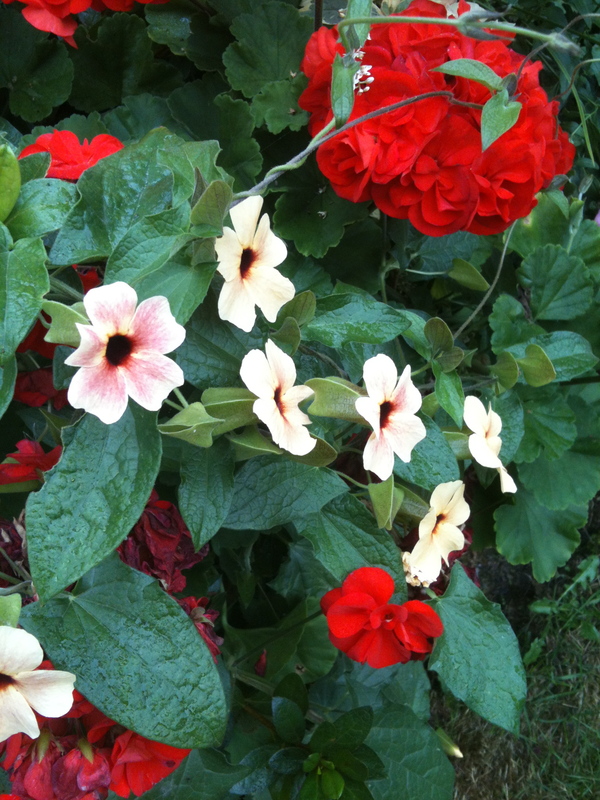 “SunPatiens” grow in full sun or part shade, rain or shine from spring until frost. They come in red, pink, purple, white and orange and grow 13”-24”. These are a “must try” but not before nighttime temps stay above 40. An annual that is rivaling the crazed Heuchera collectors is the Coleus. Yes, it’s not going to “come back” but oh, the choices! At last count more than 20 varieties are available locally but there are hundreds more out there. Coleus have been described as kaleidoscopic and stained-glass-like because of their wild multicolored leaves. They grow in sun and part shade depending on the variety. 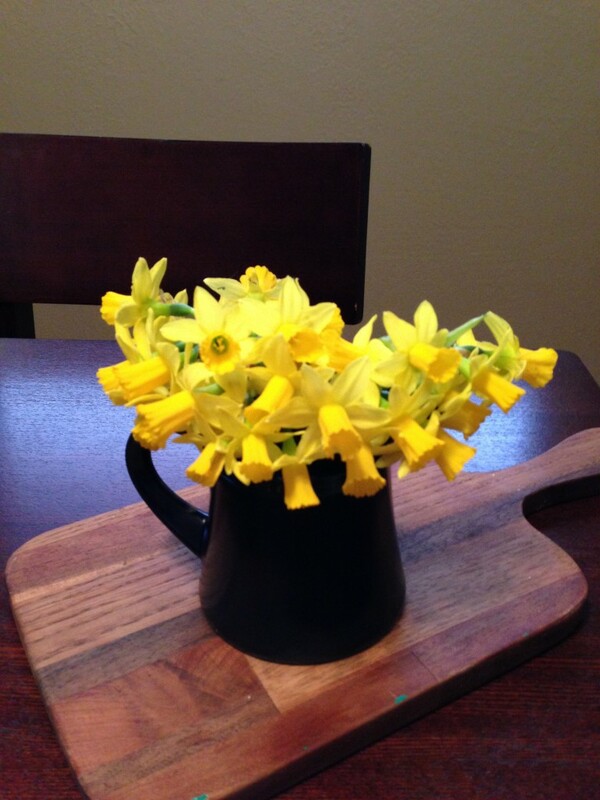 They take moist, well-drained soil and a high nitrogen fertilizer. Much like the Heucheras, they are grown more for the foliage than the flowers. For every wild-colored Heuchera there is an equally wild-colored Coleus. The most popular Coleus are Palisandra (dark maroon), Copper Queen (rust with chartreuse edging), Limelight (bright green), Tartan (green, burgundy, cream and hot pink) and Fack (deep purple with pencil-thin green edging). Both “SunPatiens” and Coleus are perennials in zone 10 so if you are REALLY good with houseplants, these would work. 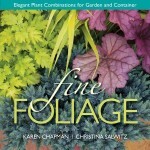 “Fine Foliage: Elegant Plant Combinations for Garden and Container” by Karen Chapman and Christina Salwitz is a small book with a big agenda…how to use foliage in garden design. Have you ever admired a beautiful garden or well-planted container and thought, “what makes this so appealing?” It just looks right. Well, much of the time the secret ingredient is foliage. Reading that you are supposed to mix texture, color and form sounds reasonable but…show me! That’s where “Fine Foliage” delivers. Examples of foliage use in containers and gardens are backed up with the “why” of foliage use as well as the what. “Fine Foliage” is divided into 36 themed combinations for sun and 25 for shade. Each combination is supported with information about site, seasonal interest, soil requirements and zones. Beyond that Chapman and Salwitz explain why the combination works. Across from each planting is a list of the foliage used ( genus, species and variety included) and why it works. The combinations would be easy to repeat but the information in the book is so well presented that you’ll have plenty of confidence to do it yourself. 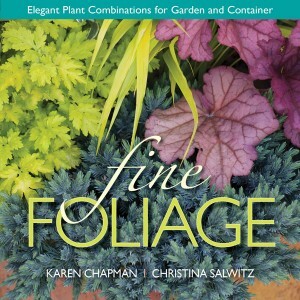 Authors Karen Chapman and Christinea Salwitz are local Seattle area designers.